The Adam's apple is a characteristic feature of adult men. Young children don’t have it and it’s very rare in women. It’s name says it all: it’s one of Adam's, the Man, attributes. 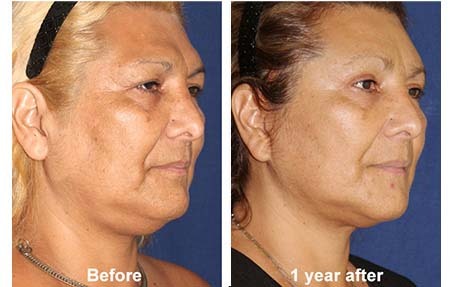 It is not strictly a facial feature, but If you have it, you've probably thought about getting rid of it as a part of your facial feminization surgery. It can give you away even if your facial features are totally female. It’s a lump of cartilage located in front of the larynx. The larynx is the voicebox where the vocal cords are located. During puberty, the larynx grows much more in boys than in girls, like other areas of the facial skeleton do. This creates more resonance, so boys’ voices become deeper, whereas girls voices don’t change so much. Hypothetically, this increase in the larynx’s size needs to develop a structure to support it. The Adam's apple is the most evident part of this structure. How is the Adam's apple reduction or removal achieved? 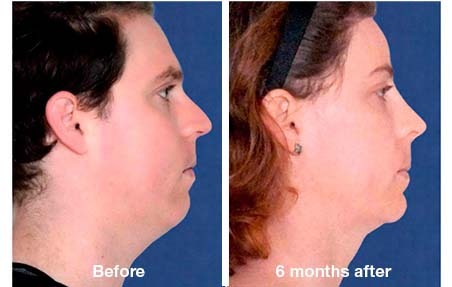 Trachea shave is one of the simplest and swiftest procedures of facial feminization surgery, but it must be done by an expert surgeon since a too agresive shave could weaken the larynx structure or voicebox and permanently alter the vocal quality. 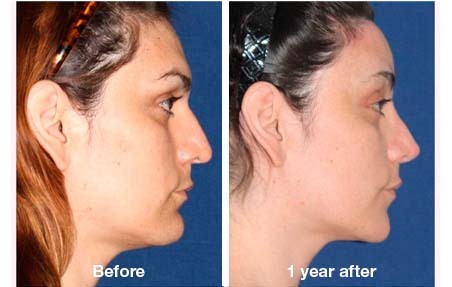 The surgery is done through a small incision, that usually coincides with a crease or fold of the neck to conceal the resulting scar. The surgeon cuts and shaves the excess cartilage and smoothens out the surface to prevent the skin to reveal any irregularities. 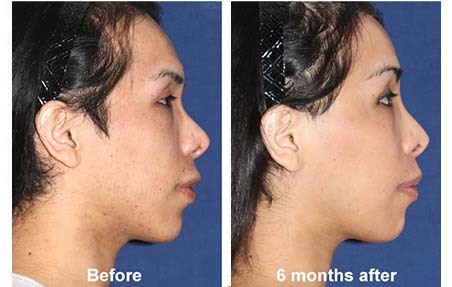 Adam's apple removal is done under general anesthesia, with other procedures of facial feminization surgery, or alone. How long will adam's apple removal take? 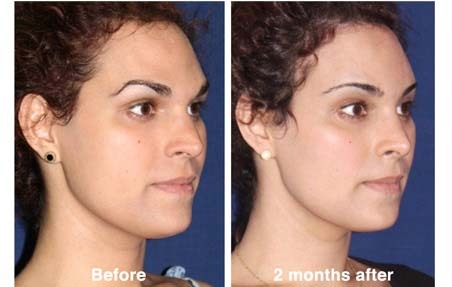 The feminization of the adam's apple (trachea shave) takes about 1 hour. A piece of gauze will cover the incision for the first 2 or 3 days after adam's apple reduction. For about 7 to 10 days you will probably have a burning sensation and some difficulties when swallowing or talking. Patients who underwent Adam's apple removal report that the post op sensation is very similar to a simple sore throat, including a reduction in the ability to speak loudly. 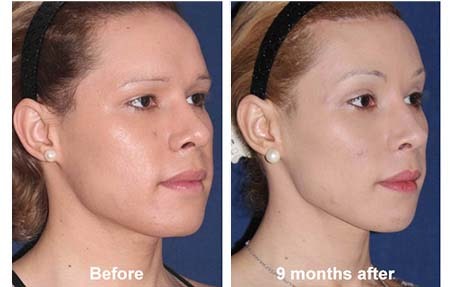 What are the risks and complications involved in this facial feminization surgery? Every surgery, no matter how simple it may be, has certain risks, and we should not rule them out. 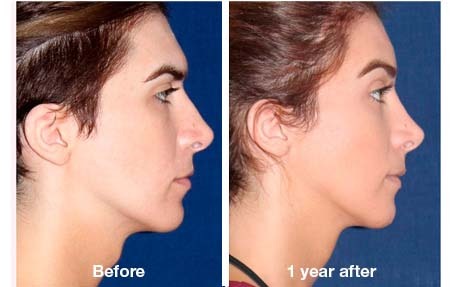 However, it is very unlikely for a Thyroid cartilage reduction to present any complications when performed by a qualified Facial Feminization surgeon or ENT speciallist. Infections (they are very unusual if you take the prescribed antibiotics). Hypertrophic scar due to patient’s characteristics. Temporary reduction in the ability to reach high frequencies when singing. Damage to surrounding areas like the vocal folds or the laryngeal nerve.